Oh, hello spring. It’s good to see you. So good in fact that I think you deserve a hoop, holler and maybe even a curtsy. After all, you and I both know that this winter was a bit of a long one. Not that I’m complaining…because I’m totally not. After all, our snowpack levels are off the charts and that alone practically guarantees a fun summer! Spring was being mysterious in Glacier National Park’s Two Medicine Valley in early May. Anyway, earlier this week I was chatting with a pal of mine and he was lamenting that he wasn’t sure what to do on spring weekends in Western Montana. His quandary? He wanted to be able to take to the outdoors but wasn’t sure where to start and which areas were open. 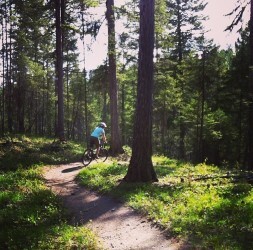 I could feel his pain (this girl certainly doesn’t want to drive somewhere only to find out a trail system isn’t open yet) so I did some investigative research and rounded up the top activities for May in Western Montana. If you’re a nerd like me and you’ve been keeping up with snowpack levels in Western Montana, you probably already know that our snowpack is sitting between 100 percent to 160 percent in various mountain ranges. This means that once the spring thaw kicks into high gear, Flathead Lake will take in massive amounts of water. 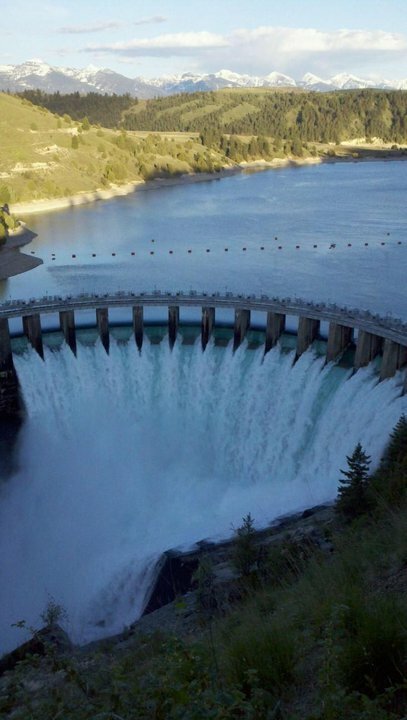 To prep for the incoming water, Kerr Dam (located on the southwest corner of the lake) has many of its gates open to release some of its current holdings. Be sure to walk down to the boardwalk for a view of the dam and canyon. The gates at Kerr Dam. In my many road trips up and down Highway 93 this month, there has been at least one bison standing in plain view from its perch on the rolling terrain of the National Bison Range. In addition to being stunning animals, many of the mama bison have had their calves which makes May the perfect time to head to the range. Personally, I recommend taking Red Sleep Drive (a 19-mile one-way road that travels through the range) for wildlife watching combined with stunning views of the Mission Valley and nearby Mission Mountains. The view looking west from Red Sleep Drive. 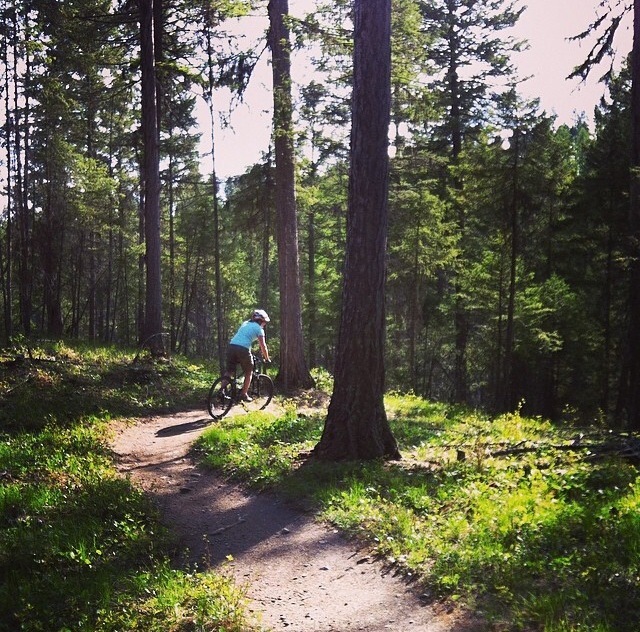 If you’re into hiking or biking, The Whitefish Trail (located just west of town) is the place for you. Be sure to check out Woods Lake, the newest section of the trail, for views of Whitefish Lake, Woods Lake and the Whitefish Mountain Range. 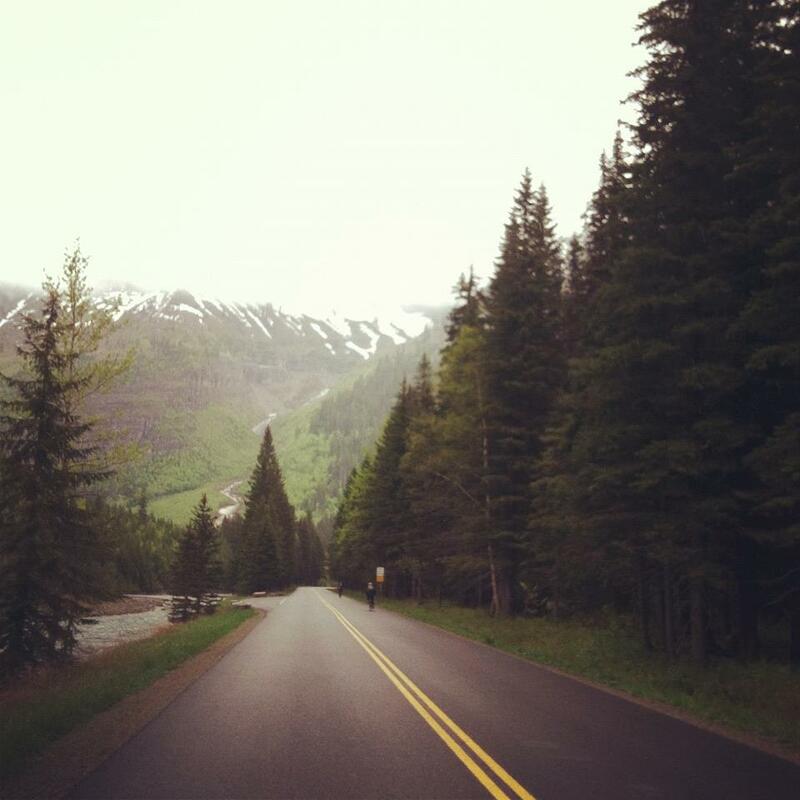 I know I’ve said it before but I’m totally saying it again: May is the perfect time to bike the Going-to-the-Sun Road in Glacier National Park. 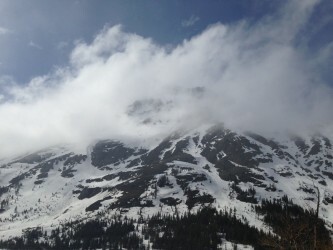 The road is currently closed to vehicular traffic at Avalanche on the west side which means bikers have free reign of the road from Avalanche up to the Loop. Or if you prefer to keep your feet on the ground, you can hike the road as well. Biking the Going-to-the-Sun Road in Glacier National Park. Or you can take to some of the trails in the area, including Apgar Lookout, Trail of the Cedars and Avalanche Lake. Keep in mind that some portions of the trails may be muddy and you may encounter a bit of snow, especially in shaded areas. Side note: Wildlife, including bears, are active in Glacier National Park. Be sure you make noise on the trail and hike with bear spray. With the arrival of May, farmers markets are starting throughout the region. 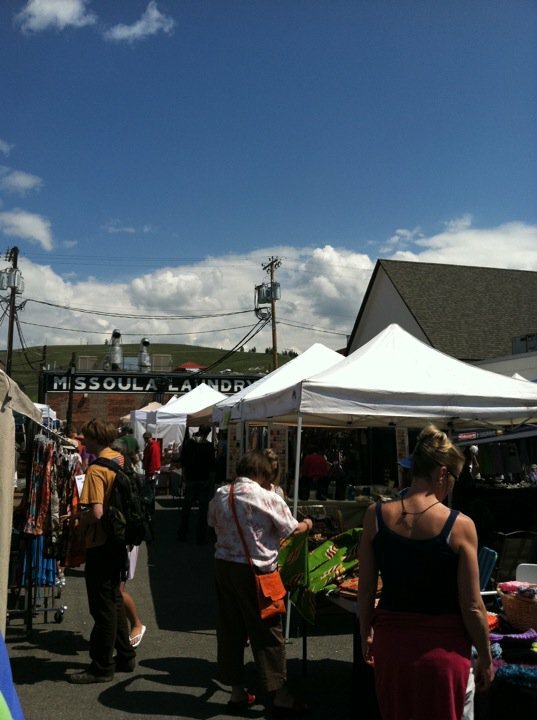 Be sure to check out markets in Kalispell, Missoula, Polson and Ronan for local goods. The People’s Market in Missoula. 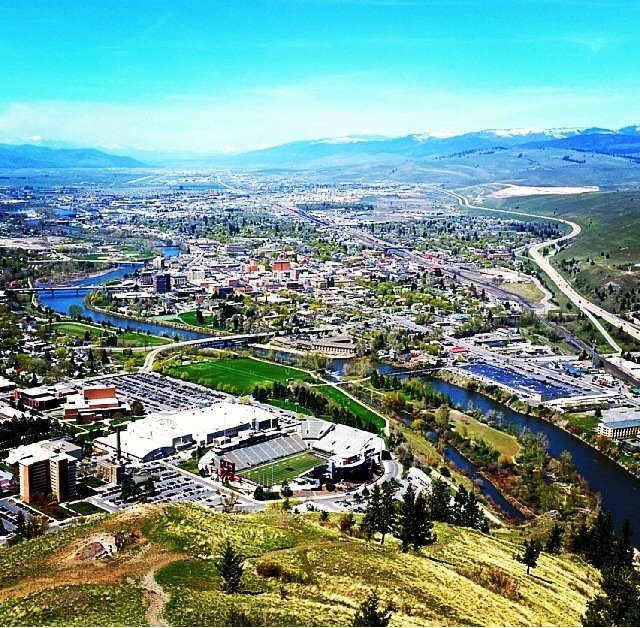 For a quick hike in town, consider the hike to the M on Mount Sentinel. Hikers can make it up and down in around an hour and you’ll see a bird’s eye view of the Garden City. 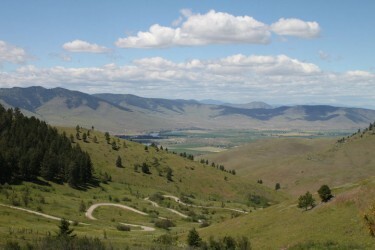 Located a short drive from Missoula, Pattee Canyon is home to abundant hiking and biking trails. An added bonus? Spend some time hiking here and you’ll see plenty of wildflowers, including wild clematis, trilliums and glacier lillies. The 27 miles of trails have been cleared for the season, so if you’re looking for friendly and easily navigable trails, this area has you covered. For a heaping serving of Montana history, check out Ninepipes Museum. Located at the base of the Mission Mountains, the museum has an extensive collection from the area’s early settlers, as well as American Indian beadwork and clothing. After perusing the museum, head over to Allentown Restaurant at Ninepipes Lodge for lunch or dinner and take in the view from their dining room. The view from Allentown Restaurant. Your turn…what are some of your favorite adventures in May? 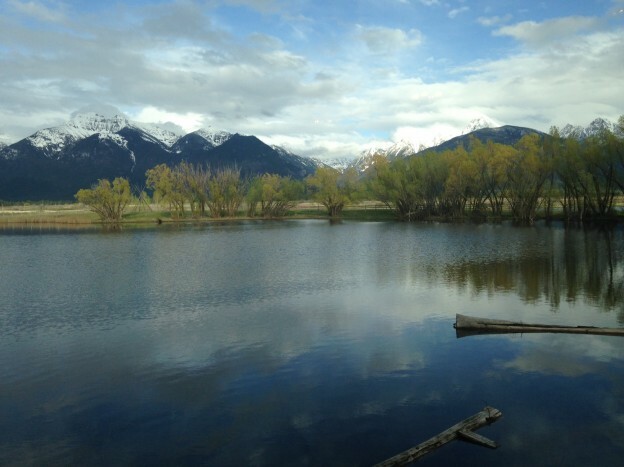 This entry was posted in Uncategorized and tagged Farmers Markets, Glacier National Park, Missoula, Spring, Whitefish on May 15, 2014 by tiatroy. Thank you, thank you. I’ve been searching for spring adventures in western Montana. Your ideas will keep me busy! Morrell Falls Trail and Seeley Lake! Good call, Marc! Those are lovely places to explore in May.